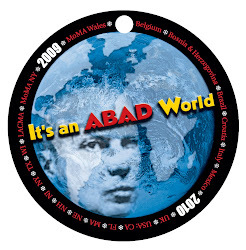 I simply cannot believe it's June and there have been no new ABAD calls! There was a reshowing, I think, of the original 2009 collection at Fluxfest 2012 in Chicago but, can that possibly be all for 2012? For all that ABAD swag! 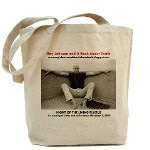 Original design and photograph by Joan Harrison. A 25 minute DVD compilation of the evening's highlights by Alumni Barry Rivadue is available for purchase. "To me, fair friend, you never can be old. For as you were when first your eye I eyed, Such seems your beauty still." The Kali Shadow Theater is inspired by traditional Nang shadow plays popular in Thailand as well as cabaret shows from Montmartre during the 1880’s. A simple backlight screen with actors and silhouette cutouts combine to create a living collage. The performance centers on the myth and narrative of the Hindu goddess Kali and the paradox of her dual roles in creation and death. Kali Shadow Theater is a work conceived by William Evertson for Seeking Kali, an online forum for artists exploring myth and archetype. 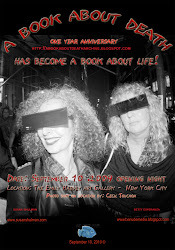 This photo was taken outside the Emily Harvey Foundation Gallery on opening night September 10, 2009. Magic happened that night! The lineup of people behind us snaked up 2 blocks and Susan and I [Betty Esperanza] were mezmerized by the hustle and bustle of New Yorkers waiting to get inside this small gallery. Thanks to Matthew Rose's vision, we are all connected. 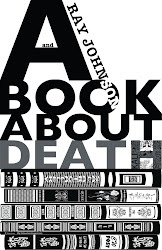 A BOOK ABOUT DEATH has a life of its own and its immortal...Happy 1st Birthday, ABAD! A Book About Death, an unbound book on the subject of death, a project by Matthew Rose, opened at the Emily Harvey Foundation Gallery in New York City on September 10, 2009. 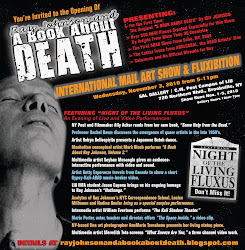 Approximately 500 artists sent in 500 postcard works to be distributed in the gallery space as pages for the "book." The above video is the work of Brazilian artist Angela Ferrara, and the music, "Praan" is by Los Angeles-based composer Garry Schyman. 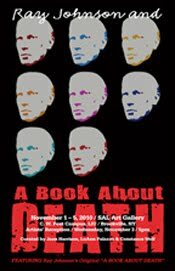 "A Book About A Book About Death"
(12/12/09–1/31/10). 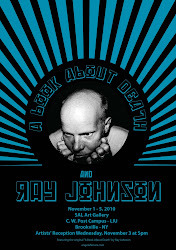 It explores and explicates Ray Johnson's original "A Book About Death." 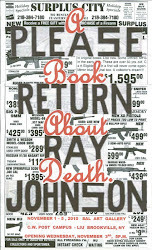 Mr. Wilson has generously shared with this current exhibition numerous catalogs and information on Ray Johnson and the original unpaginated "A Book About Death." 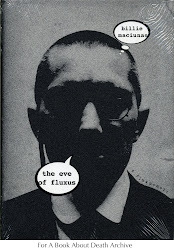 Billie Maciunas has graciously contributed a copy of her new book, "The Eve of Fluxus", to the RJ+ABAD Permanent Archive. 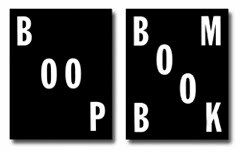 The book is a memoir of Billie's meeting and marrying George Maciunas, founder of the twentieth century art group Fluxus. 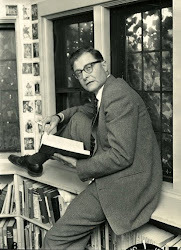 This group influenced Ray Johnson and many of the contributing ABAD artists. The book is available for purchase – just click on the image above.